Why in the hell did congress decide that it was essential to the survival of the country to change DST?!?!?! From an IT standpoint.. what a bloody nightmare. 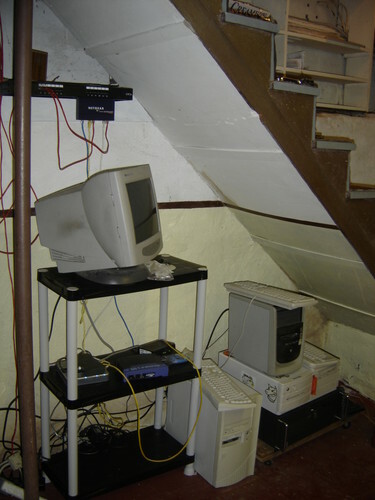 I manage a number of servers, ranging to Windows 2k, 2003, FreeBSD, and Linux. All of which require a different update for the DST changes. What a pain. I should have dealt with these back in March, but such things happen when you’ve only got 2 admins to manage over 100 servers…. Windows 2000: Microsoft has a utility called “tzedit” which will allow you to manually update the DST info. I dont know for certain, but i think they later released a Windows update to automate this. Windows 2003: Same as 2000, except that the Update was released earlier than the update for 2000 was, so the need for “tzedit” is removed, unless you tried to update it before the update was released. FreeBSD: Apparently the guys at FreeBSD shipped 6.2 with the new DST info pre-packaged. Lucky for me, the newest FreeBSD server i manage is 6.1! With the majority being older. So if you’re in the same boat, use Ports to update the zone info. First Update the ports tree, then install /usr/ports/misc/zoneinfo. Afterward I ran tzsetup to make the changes take effect, I dont know that this is necessary. Linux: We run Fedora, and CentOS, so the yum package repository of choice. yum update tzdata gets the update, then system-config-time re-set’s the clock. You remember it… Maybe you don’t, if you grew up in the same age as I did, and you were into computers, you know what I’m talking about. I spent most of my life between the ages of 14 and 18 or so playing around on BBS’s. They started out as dial-up, then telnet as technology progressed. I ran my own for a short while back then, using all pirated software, but it wasn’t like i was making money off of it. It was just a local thing, for me and my friends to hang out and play the games we loved in our own environment. I took it offline, for a few reasons, one was the fact that i was using a few thousand dollars worth of software, publicly accessible, illegally. I wasn’t comfortable leaving it up. Plus interest faded. Then I came across legitimate software, that an old sysop just _gave_ me. I know it’s legitimate, because It’s a board that was up and running as a business for a long time. So i got that up and running, and it’s been my board ever since. It’s been online since sometime around 2002, it was down for a few months when i moved (hard drive failure) but i got it back up and running, and it’s been The Underground BBS ever since.